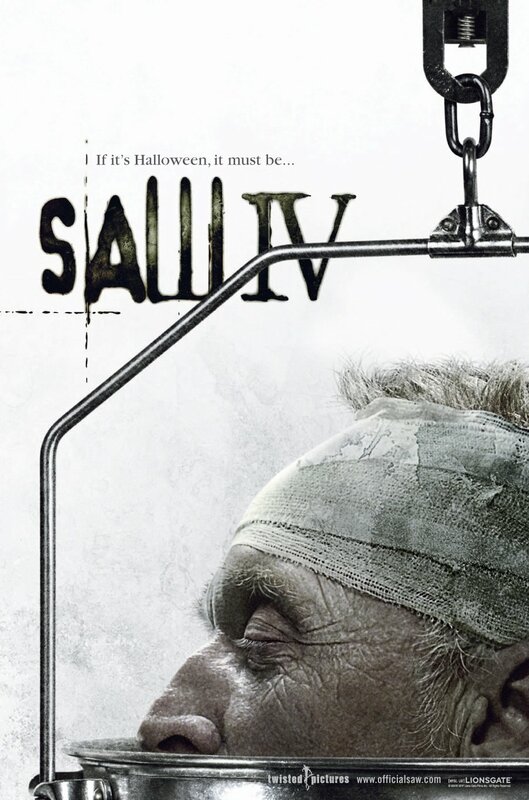 New SAW IV Poster. Kind of. Just for the sake of completeness, here is the new SAW poster, which is pretty much like an old SAW poster, only more in your (his?) face, if you will. Honestly, I thought the old version, which is apparently the international one, was more interesting. I wonder if there was some MPAA related reason for the change? I’m going to guess that the MPAA did say that the first one was too graphic. In the new one you can’t fully tell that the picture is a scale weighing his decapitated head. I agree totally the first one is much more interesting. Not interesting enough to get me to want to see this but still more interesting at least. Really sweet poster. That head is so messed up looking. I love it. Excited to see this one.